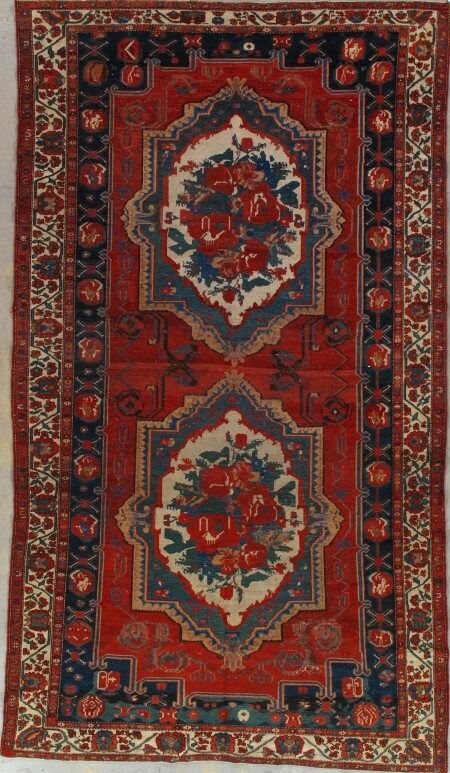 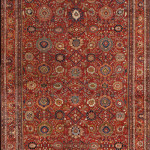 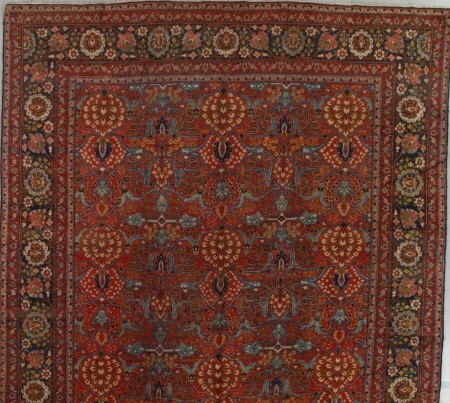 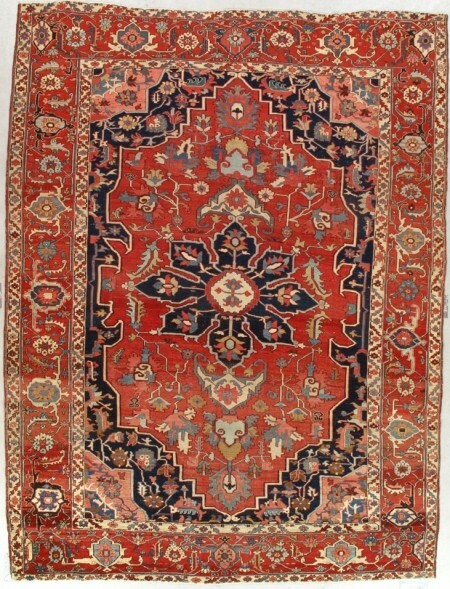 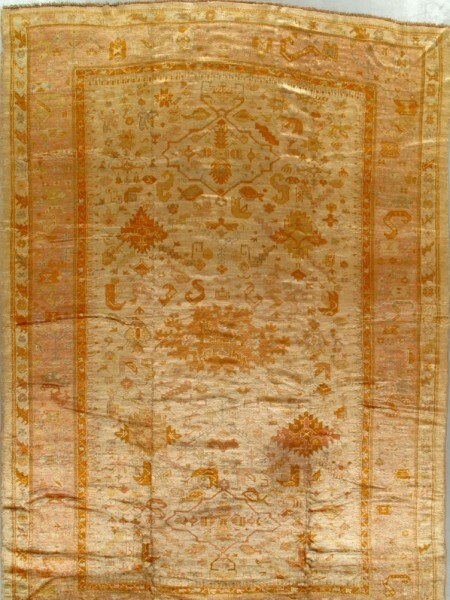 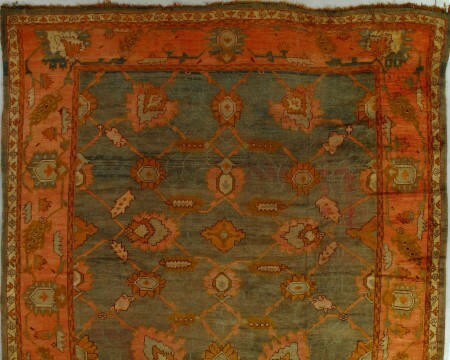 Sultanabad Rug-3793 This richly toned Sultanabad takes its design from late 16th century Persian archetypes. 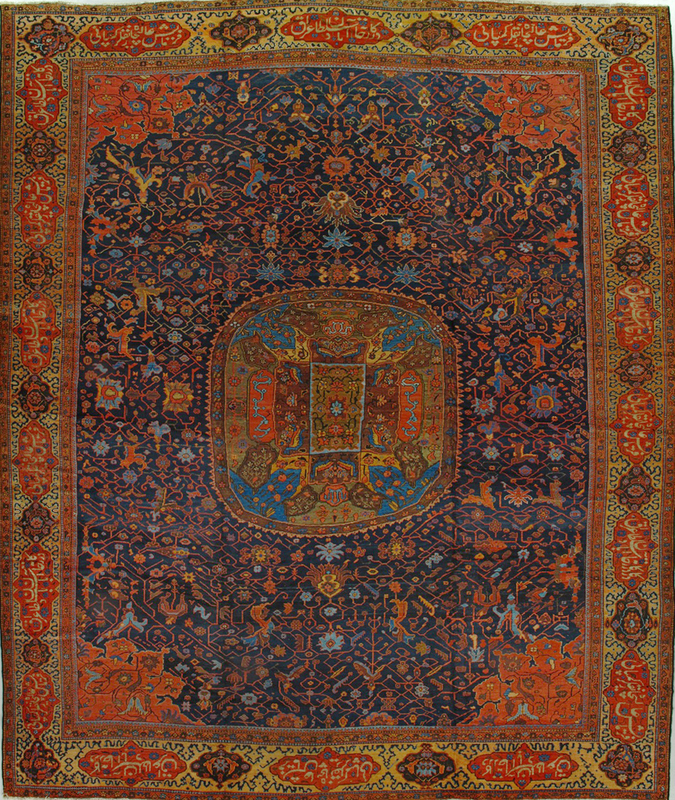 A dark blue ground closely filled with forked arabesques and geometric vines supports a complex elliptical multitoned medallion. The main border of cartouches and octofoils has a calligraphic inscription as does the original.